If waiting for games to load is driving you mad, don't throw your console or laptop out of the window just yet. Those minutes of desk-thumping frustration could become a thing of the past with a simple, cost-effective hard drive upgrade. With just a few twists of a screwdriver and some basic hardware knowledge you can increase your hard drive size to a meaty 2TB. That's a whopping 400 percent increase for a PS4 or an Xbox. Our replacement hard drives are made by multi-award winning Seagate, who have dominated the sector for four decades. 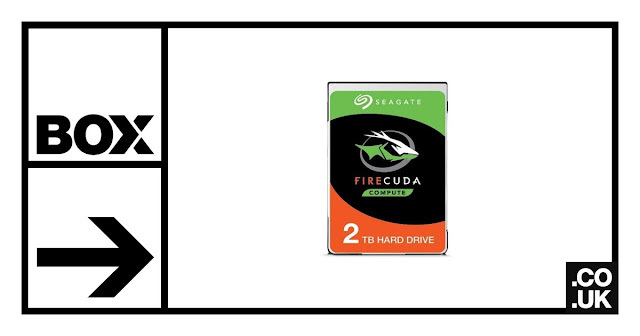 The hard drive we recommend is the Seagate 2TB FireCuda Laptop Hybrid Hard Drive. The 2TB FireCuda is large enough to make deleting files to free up disk space a thing of the past. At an average of 25GB per game, this hard drive allows you to store up to 40 games. With 5400RPM spin speed, SATA III Interface, 8GB NAND cache (flash storage), and 2.5" form factor, you'll wonder why you didn't upgrade sooner. It's five-times faster than HDD and, for extra peace of mind, it comes with an industry-best five-year warranty, guaranteeing lightning fast gaming well into 2024. If that isn't enough to get you clicking 'add to basket', these hard drives could potentially help lower your overall costs as they are performance-tuned to draw less power than similar products from competitors. Reducing power consumption and heat generation helps increase system performance and improve durability, especially when playing games and running multiple applications. And these hard drives are not only perfect for gaming - they can also revolutionise PCs for creative professionals. What you waiting for? Click here to take your hard drive to the next level.